'Being noticed is paramount.’ Oldacre are London's leading Exhibition Florist. They are based at the ExCel Centre in London and also at the NEC in Birmingham. 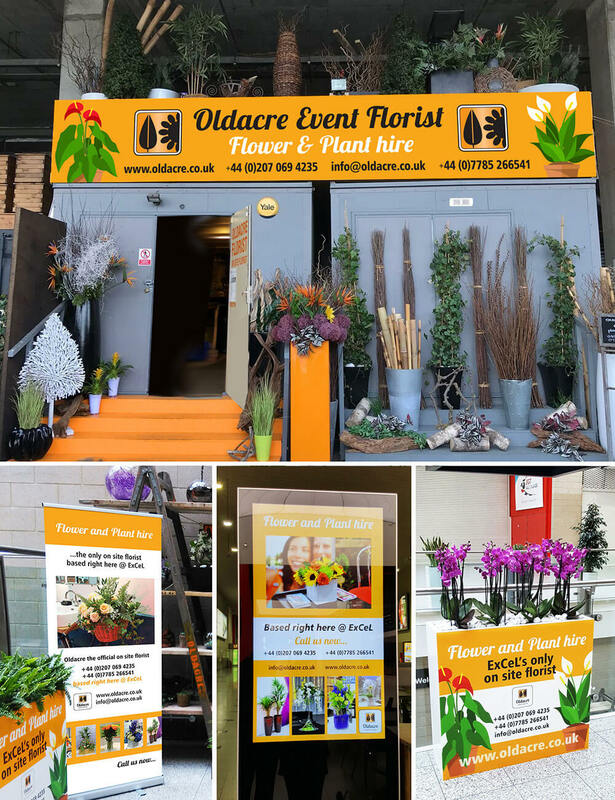 Two perfect venues to take advantage of large format advertising, especially as Oldacre do that with their amazing displays of plants and flowers for their clients. The Brief: To create bright modern vectors for display panels, banners and illuminated signs for the NEC and ExCel venues.